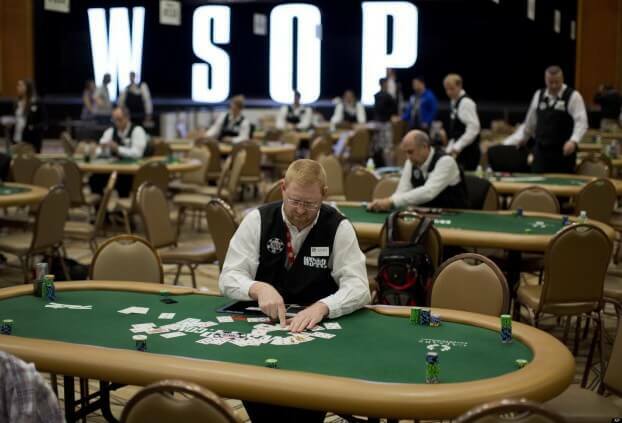 We are roughly halfway through the 2013 World Series of Poker schedule, so now is as good a time as any to take a look at the players that have been dominating the early action at the WSOP. Several players fall into this category, but the following four players have been far and away the best so far, so in no particular order here are the top performers over the first half of the 2013 WSOP. Since 2009 “Bakes” has cashed at least four times at every WSOP, and after a red-hot start to the 2013 WSOP “Bakes” has added to that run. Even though he may have cooled-off a little bit, with four cashes and three final tables the two-time bracelet winner is still on pace to have one of the best WSOP’s of his career. The former WSOP Player of the Year (Schneider won two bracelets back in 2007) Schneider was the first double-bracelet winner of the 2013 WSOP, winning both HORSE tournaments played thus far, the $1,500 buy-in event and the $5k event. Overall, Schneider has six cashes at the 2013 WSOP to go along with his two bracelets. With eight cashes and two final tables Kelly is on pace to set the all-time record for cashes in a single WSOP (currently held by Konstantin Puchov who cashed 11 times last year). Kelly is still looking to add his sole bracelet win from 2010, when he won one of the biggest non-Main-Event tournaments in WSOP history, the $25k Six-Max Championship. The unsung player of this group, Ashton has only three cashes at the 2013 WSOP, but they are a 7th place, a 3rd place and a 2nd place. In his short WSOP career (spanning all of three years) Ashton has seven cashes, six of which are Top 10 finishes.